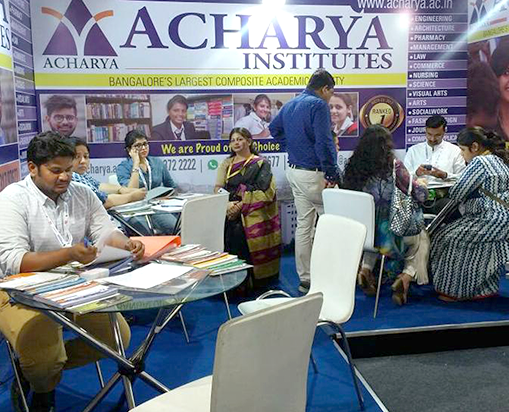 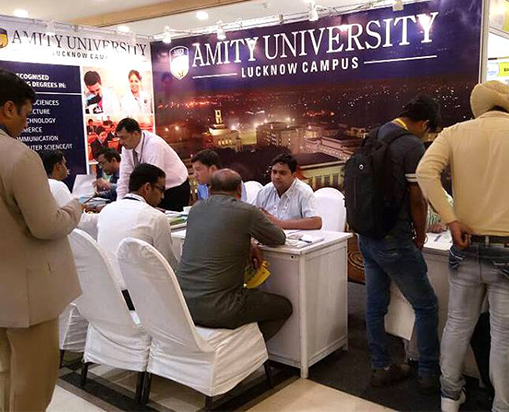 ADMISSIONS FAIR enables visitors to gather greater knowledge about various courses and programs and allows greater interaction between participating institution representatives and students. 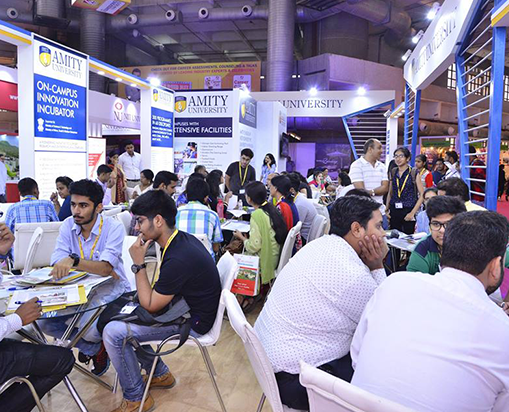 ADMISSIONS FAIR very well caters to the academic concerns of students who have just passed Class 12 or College and also students undergoing College by providing them relevant information and an opportunity to learn more about India’s finest Universities and elite Colleges offering students from Science, Commerce & Humanities streams, a choice of undergraduate, postgraduate, professional & vocational courses which can be pursued in India. 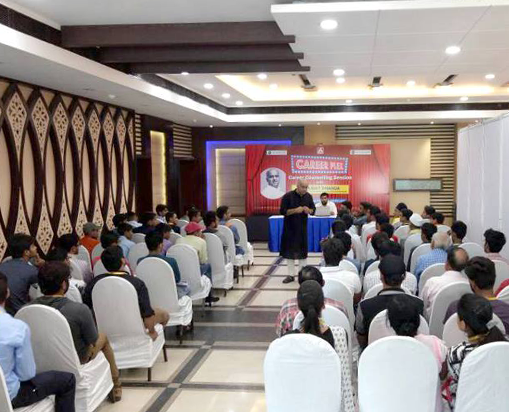 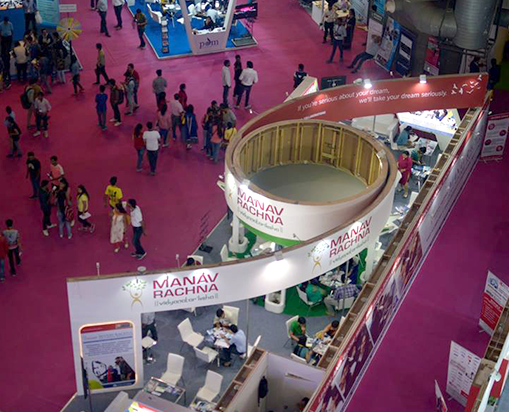 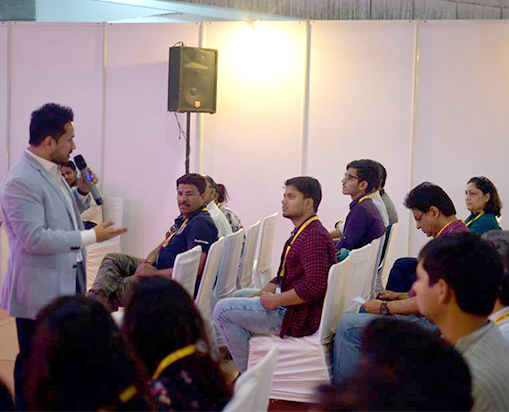 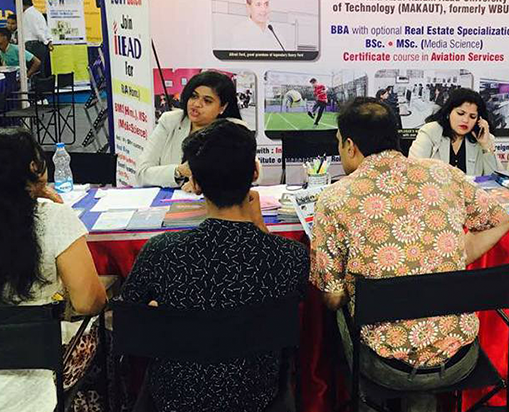 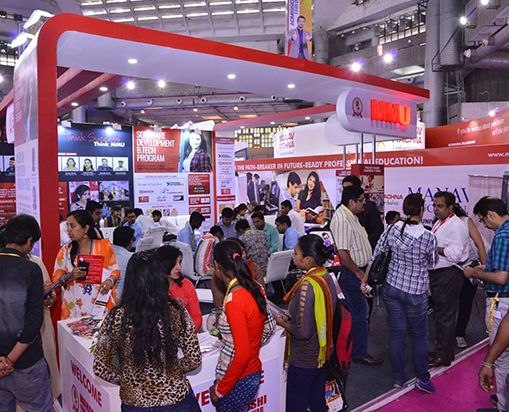 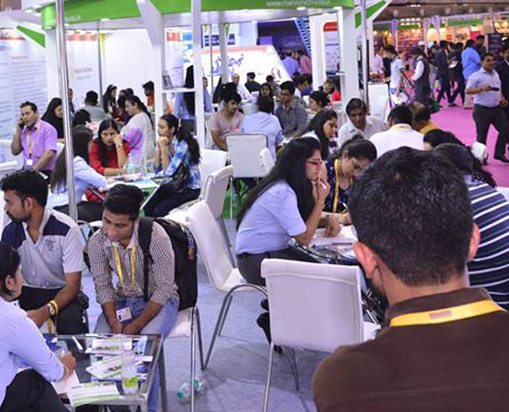 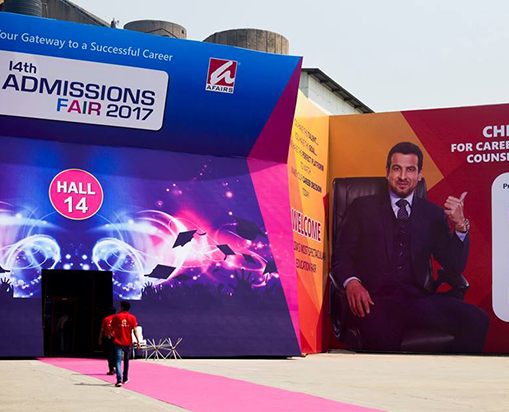 Beside this, the fair also provides valuable information on studying overseas through their education partner like BRITISH COUNCIL and USEFI – UNITED STATES – INDIA EDUCATION FOUNDATION. 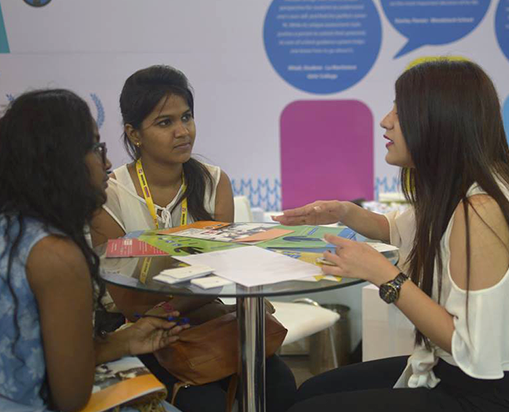 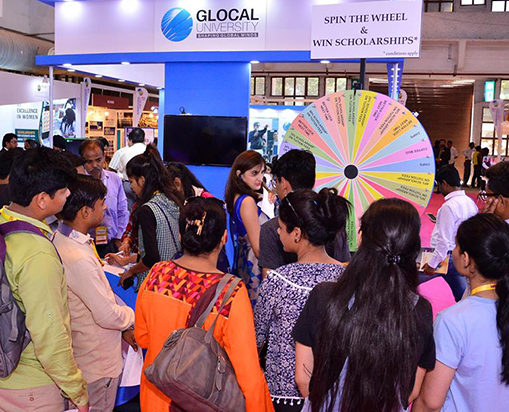 An exclusive foreign education PAVILION showcases the authorised representatives of large number of colleges from UK, USA, Australia, New Zealand, Canada, France, Singapore, Thailand, Dubai& Malaysia. 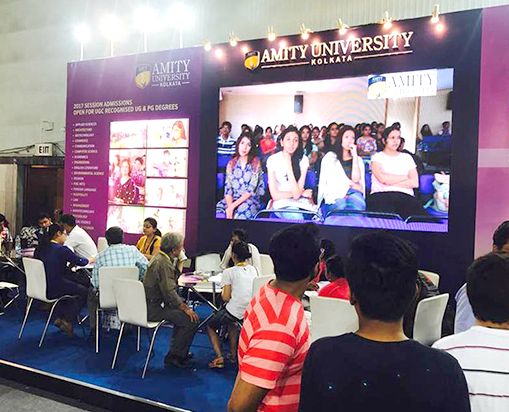 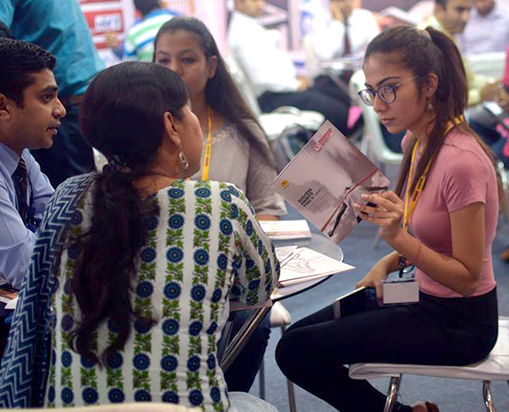 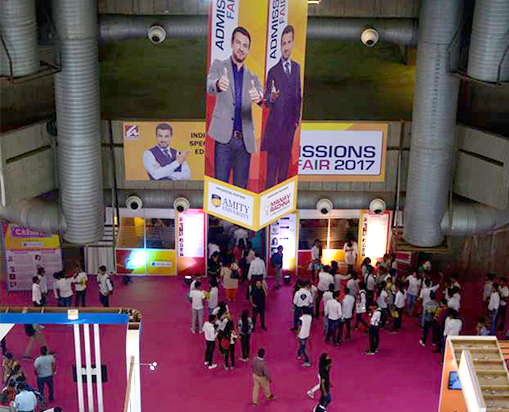 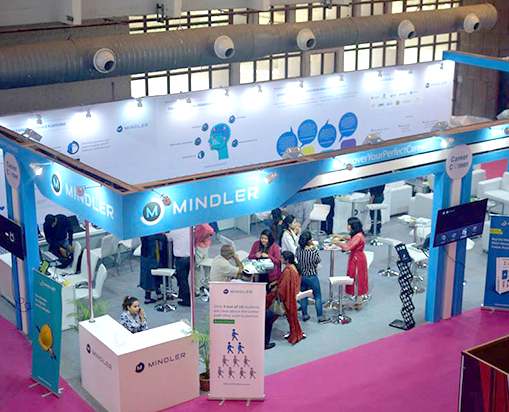 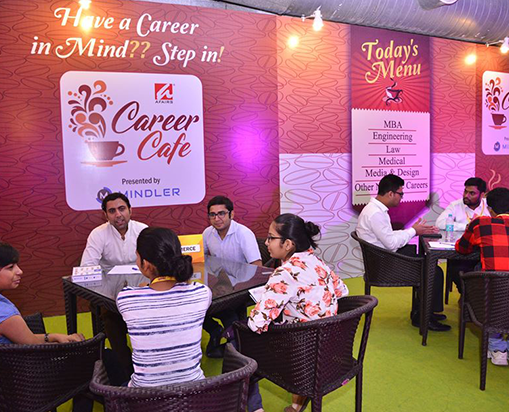 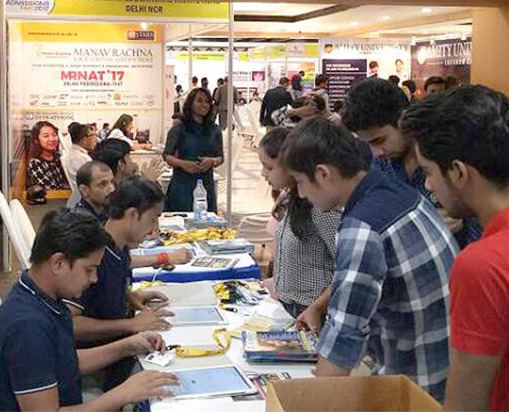 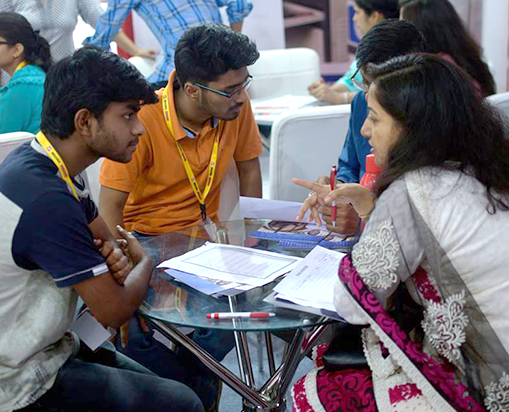 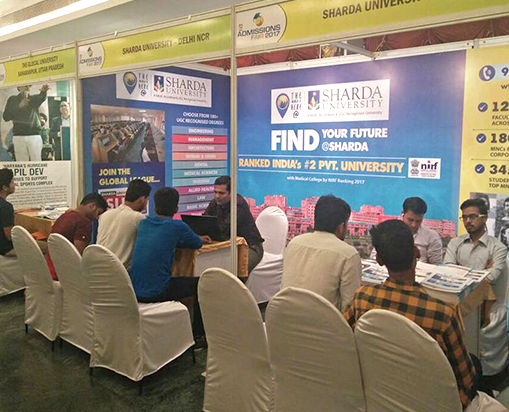 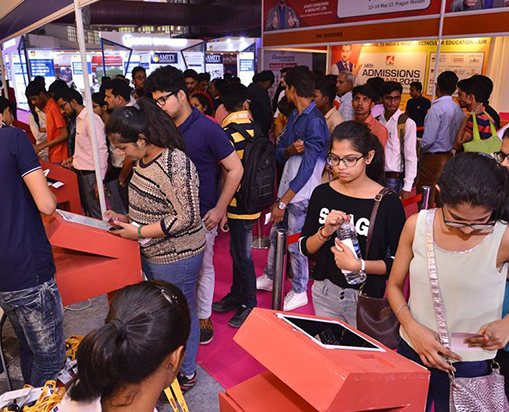 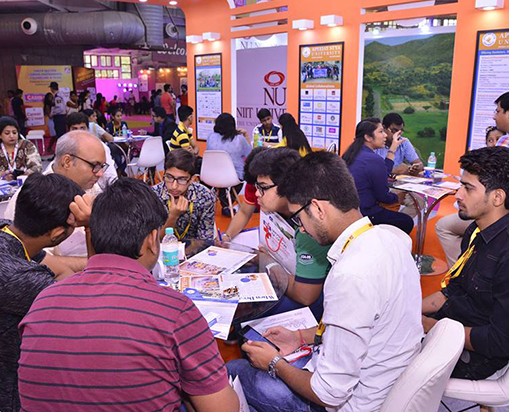 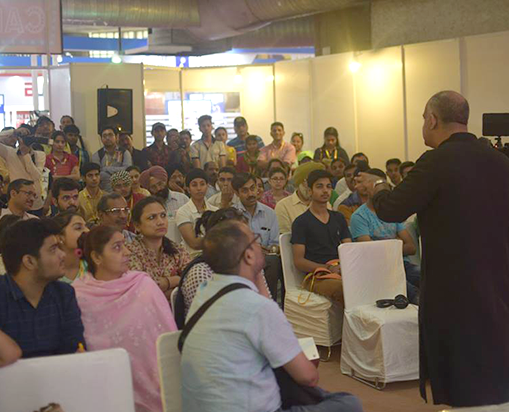 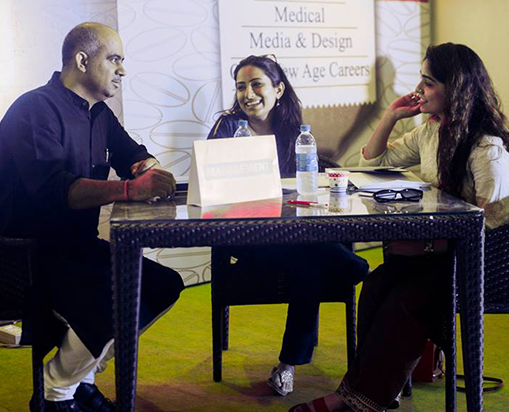 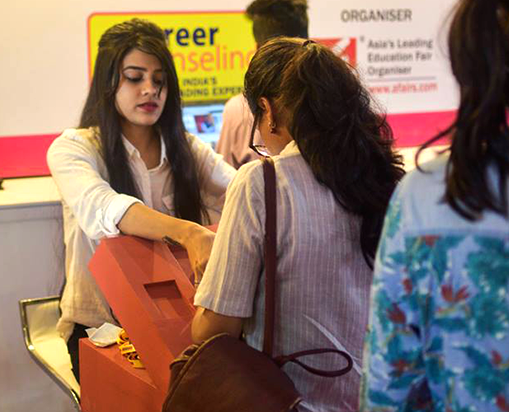 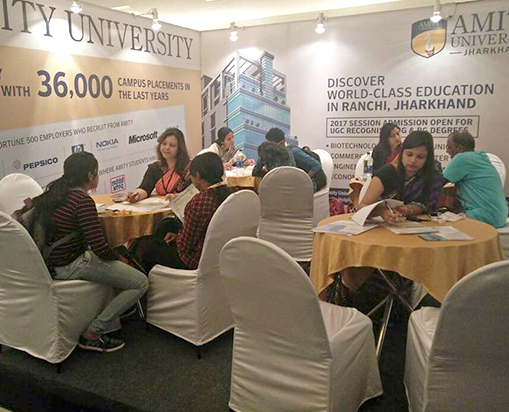 ADMISSIONS FAIR brings over 100 India’s prominent Universities & Colleges, Educational Institutions and student-parent community on one platform to allow greater interaction. 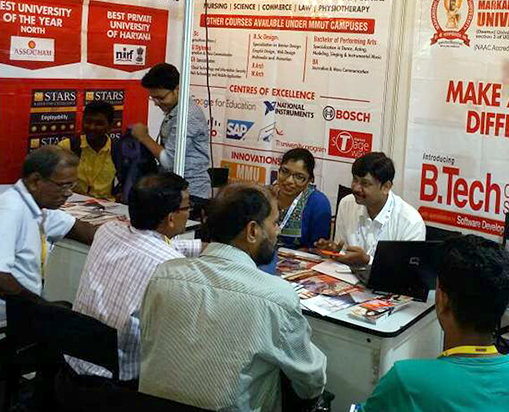 A rare opportunity to meet the finest Indian Universities, Colleges, Foreign Universities all under one roof, saving time and cost. 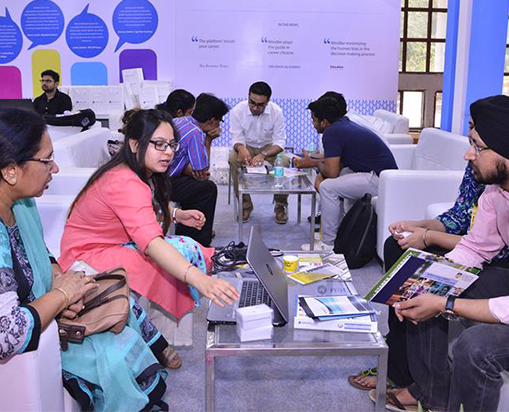 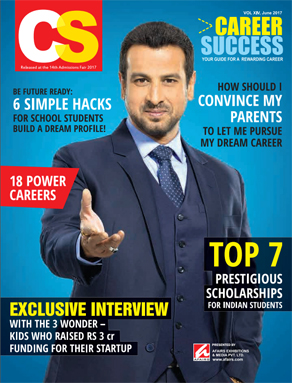 Get Authentic & transparent information on various courses & programs at different levels. 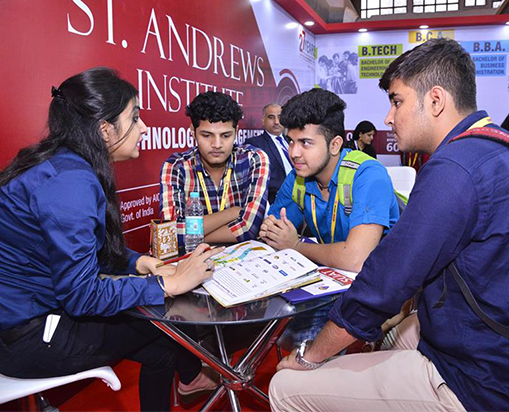 Opportunity to learn, understand, compare and evaluate the right educational institution. 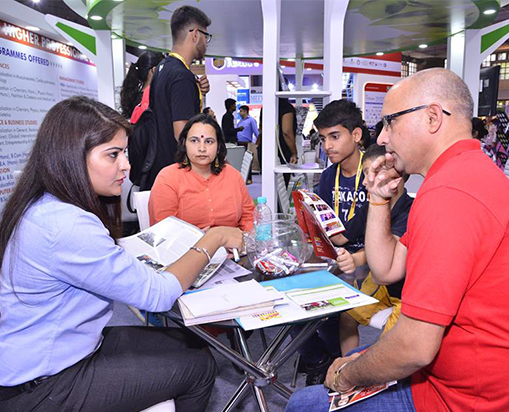 ADMISSIONS FAIR is an ideal platform for student and parents to explore the institution search and choose the ‘Dream Institution’ for a bright future. 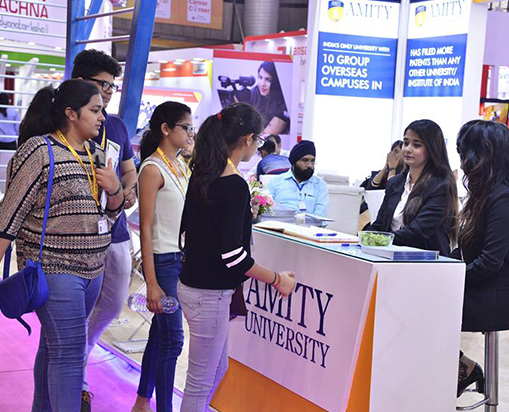 Over 100 top line Indian & Foreign Universities, Colleges, Educational Institutions all under one roof offering wide range of undergraduate and post graduate programs. 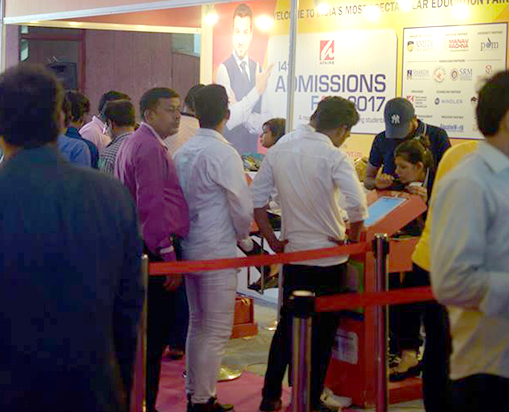 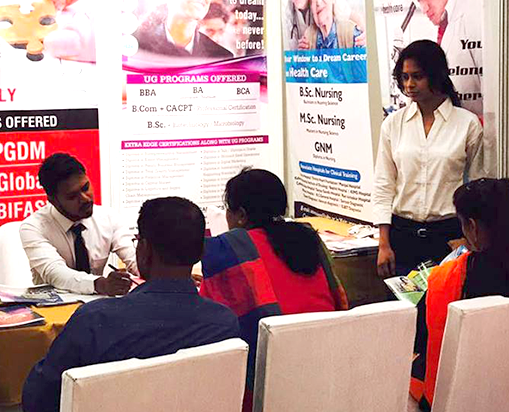 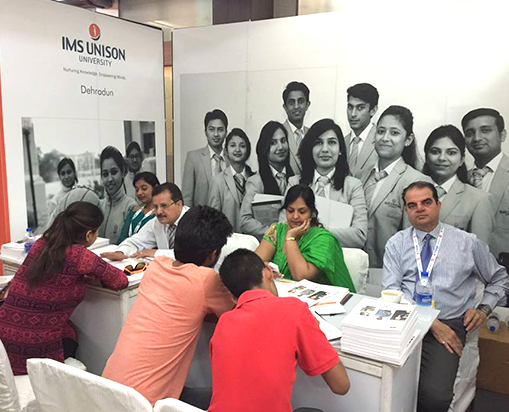 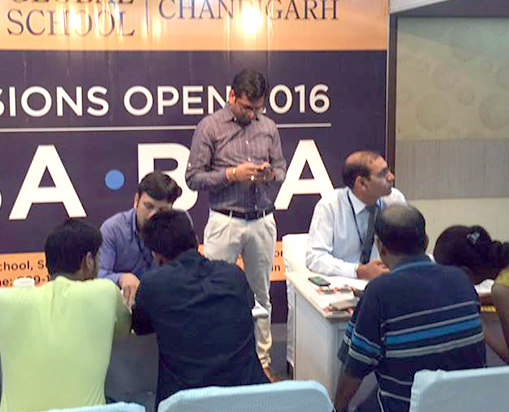 Over 500 institutions and over 1 million of visitors have benefitted by participating at Admissions Fair. 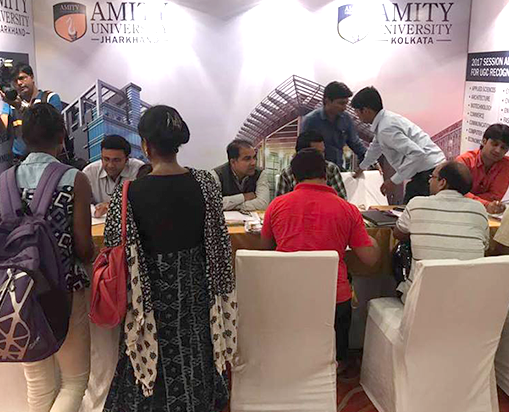 The ‘must attend’ event for parents & students considering quality education at premier institutions at an affordable cost. 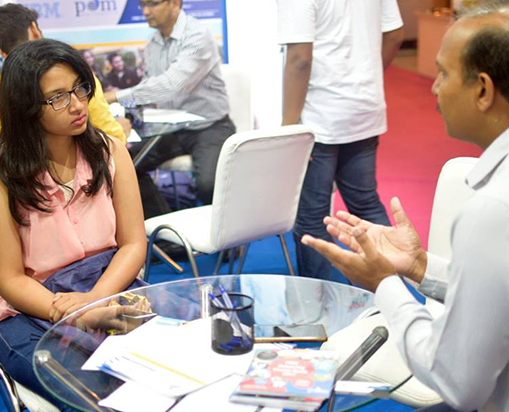 I am getting to learn about the various courses and where to pursue to get admission as per my results. 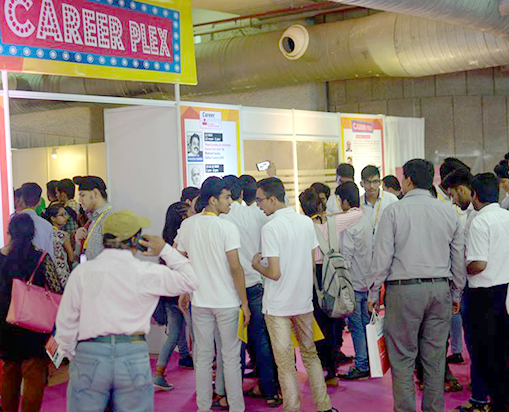 For knowing all this, this fair is a wonderful initiative. 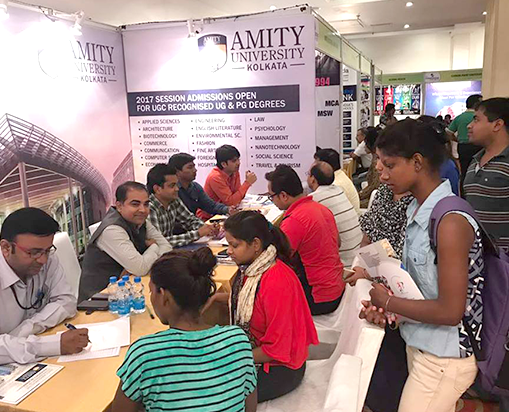 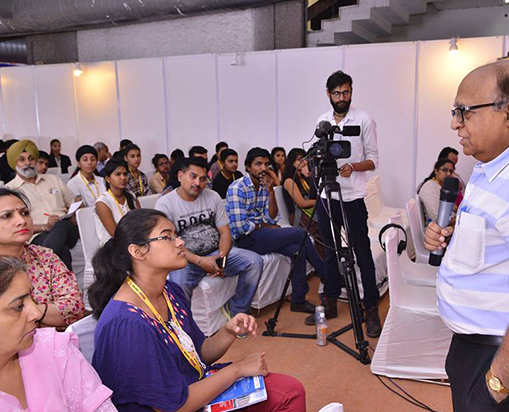 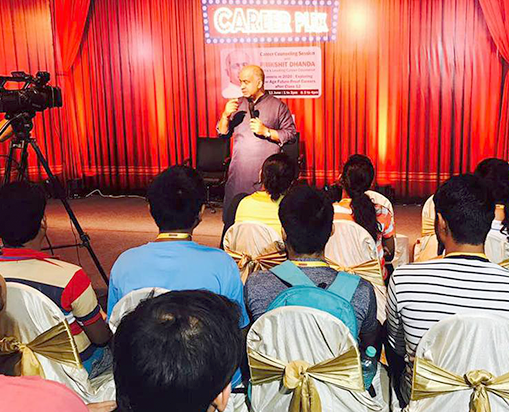 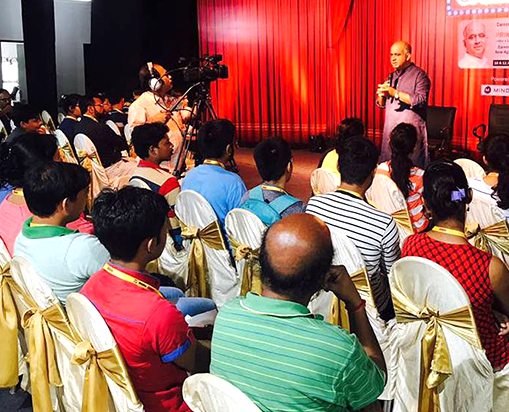 I am getting to interact with lots of colleges from various cities, which would not have been easy task and also getting to know about the various courses they offer. 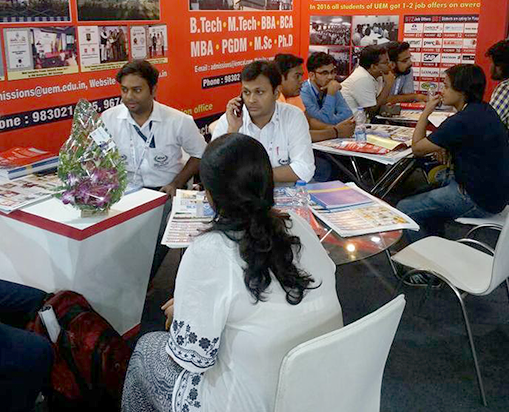 I am eligible for the criteria given by the various colleges and I will get admission into one. 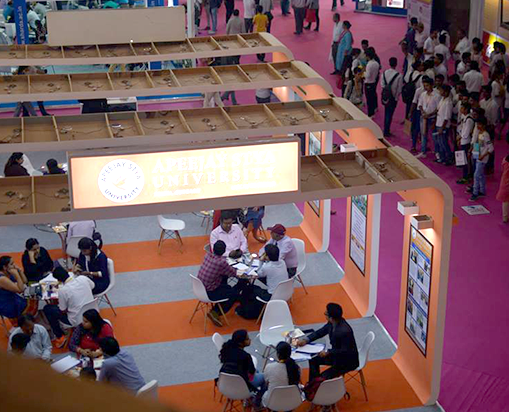 I am still searching and going around. 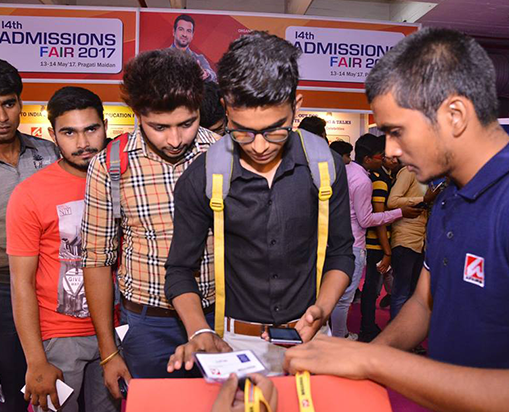 There is no harm in looking around, even though I have got admission in one.